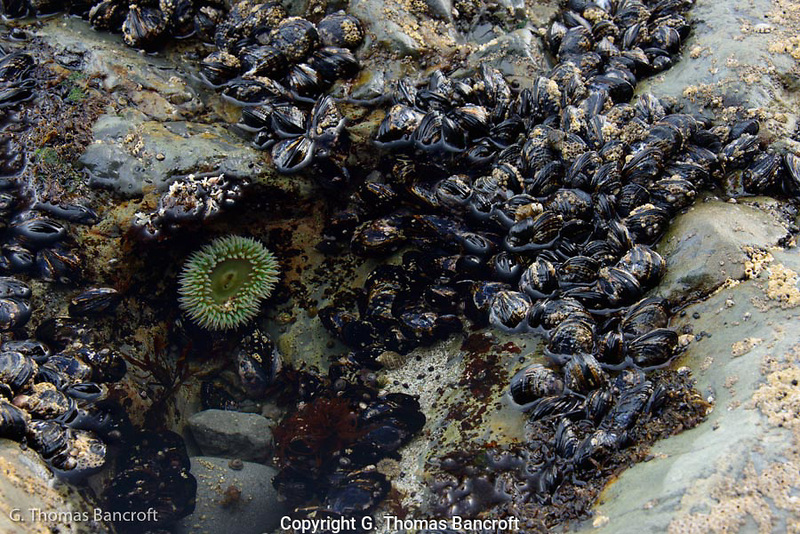 The mussels formed a dense clump around this small tide pool. A single giant green anemone hung on the side of the pool. The mussels are favorite food of the ochr sea stars and therefore tend to be found higher in the intertidal zone than sea stars can go.